It started well. April and I was pregnant, again I knew straight away and my trusty Clear Blue Digital confirmed 1-2 weeks. It had to be all good this time, as long as it wasn’t twins we knew what to do – start the Aspirin and go and get some blood thinners prescribed. I had an early scan, I was 6 weeks pregnant I saw on the screen one tiny little bean, the yolk sac was larger than the baby and it took an internal check to get a clear enough view to determine where there was a heart beating. 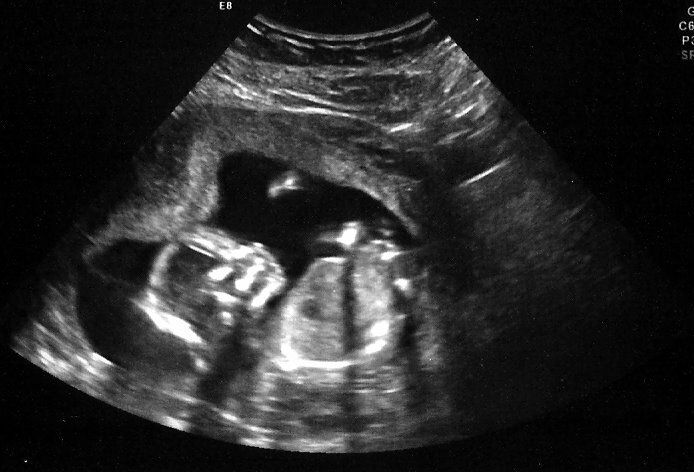 The Sonographer and I stood there staring at the screen, yes, there was definitely a beat. I was in love with a bean, we called the bean Fagiolino. At the next scan everything was wonderful, 8 weeks 3 days, normal growth. I starting injecting blood thinners. Everyone said to relax. 12 week scan, everything was fine, growth scan showed normal across the board. Nuchal scan came back low risk. It was a normal pregnancy. I had no discomfort, no blood pressure problems, I was huge but this was my second pregnancy. 23+5 weeks. My Consultant decided to do the Dopplers a week early, they showed signs of re-distribution. That meant that there was indications that there was a problem with the cords. He much did the baby weigh? 442gm. It wasn’t enough, I cried, I knew what this meant I knew CHI was back. “Come back on Tuesday” she said, “Get a second opinion”. Four days later the other Consultant confirmed the same. She also expressed that she was ‘extremely worried’. We were referred once again to Oxford. 24+5 weeks. Intermittent Absent flow. Signs of fetal compromise. This wasn’t supposed to come back, I was told that CHI was not the issue last time, that it was all about my blood pressure, the pre-eclampsia. This time my blood pressure was fine, it had to be CHI, the one thing they told me not to worry about. Again baby was under 500gm so there was no chance of delivery the only hope was to take oral steriods that cross the placenta and hope that there was just enough flow left to get them across the placenta and stimulate a bit of growth. Highly experimental treatment, virtually no chance of success but the only chance we had – we took it. 25+5 weeks. Absent flow. No significant growth, in fact the baby appeared to be shrinking! Estimated weight was 430gm. Prognosis: Grave. 26+5 weeks. Reverse flow on the Dopplers and heart. Severe growth restriction. Weight looked to be still around 400gm. Game over. We knew our baby was going to die in utero, the scales of survival dictated that babies can only be delivered if there was more chance of the them surviving outside of the womb than inside. With the current stats this was not the case with our baby. Reverse flow is also very bad for baby’s health not to mention that almost complete absence of any fluid in the sack now. We were told to go home and wait for the heart to stop. It was the longest wait of our life, almost every day with tears flooding my eyes I would use my much cherished home Doppler and listen to the heart and it beat at the same rate 140bpm every day. He tried and tried to keep going. It was breaking my heart to hear him. 27+4 weeks. 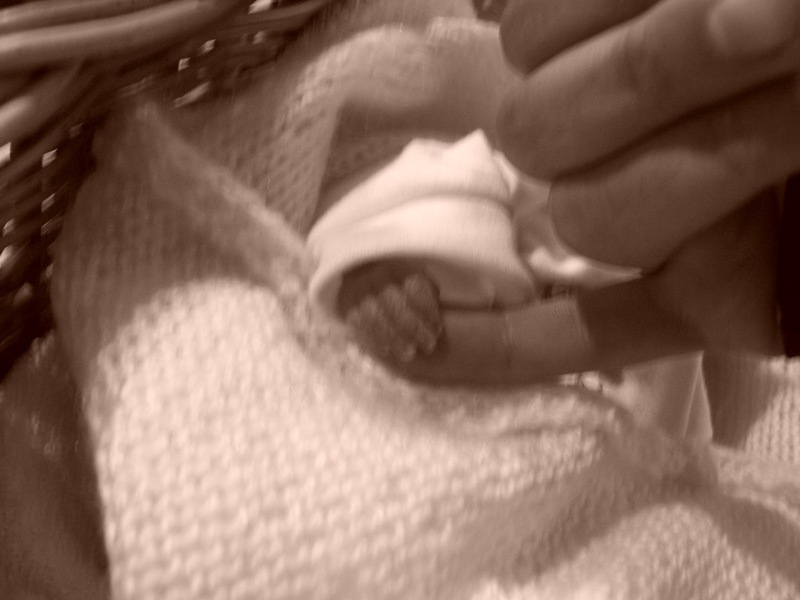 I was breaking down, feeling terrible and worried that this starvation was hurting the baby, I went for an emergency scan. The Consultant told me that the baby was not in distress, infact it was just sleeping and probably would not wake again, it was simply now too weak. That was the last time I saw my baby alive. 27+5 weeks. Sometime overnight the baby’s heart had stopped. I went to my local hospital later that day to take the drug to induce me. 27+7 weeks. Contractions started at 5am. At 12:27 I gave birth to Gabriele, he weighed 480gm. I was so proud of him, he made a valiant attempt for us to show the Doctors that he could put on the weight and I thank him for trying so hard, he just ran out of time. The placenta just didn’t last long enough, it was just too clogged up with the stuff I released to clog it up. He would have needed probably only one more week of postive flow to manage that 20gm, but not this time. We had to sacrifice this baby boy in the hope that this time the Doctors will focus on CHI. Long bones were starting to show slower growth at 20 weeks but normally Consultants do not take this as an issue because it can be indicative of a short child. With CHI it is a sign that the placenta is being attacked. We still believe that we will get our Rainbow or what comes after a Rainbow? I cannot express how hard it was to look at him in the face and tell him how sorry we were, would steroids have worked given him that extra week he needed and the life with a baby that we needed so badly. Instead we had a terrible year but were blessed with three sons. We live without fear now because we know that whatever happens our whole family is waiting for us in heaven and give us the strength here to keep looking for answers. You can also view her blog at http://vincenzobenedetto.blogspot.com/. Claudia, I am so sorry for the loss of your precious babies. I can’t begin to imagine your pain. I have said a prayer for you that God would comfort you, that you would hold your sons again in heaven one day, and that you will get the miracle of a living child that you so desire.